I recently placed an order with SAMMY dress when I was sent an email asking if I would like to try their site out. I had never heard of SAMMY dress before so I was intrigued and quickly had a look on their site. It appears to be a Chinese based site, so all the items are really low in price. 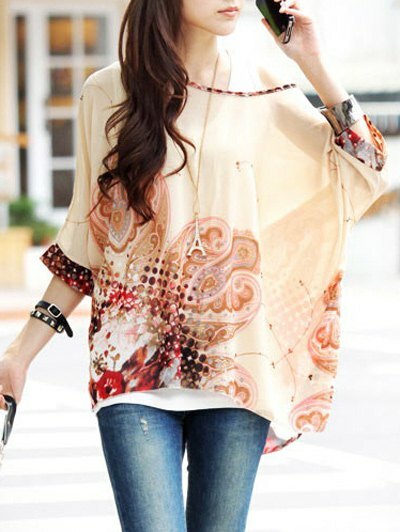 They are mainly based on fashion items, but that is not all they sell! You can literally get anything from this site, it has that much stuff on there. I was a bit dubious about what the products would be like, especially the clothes! I was not expecting to be able to wear a thing, or for them to be any good what so ever. I picked three clothes items and then a few very random items (some strange items)! Find out what my favourite item is at the end. 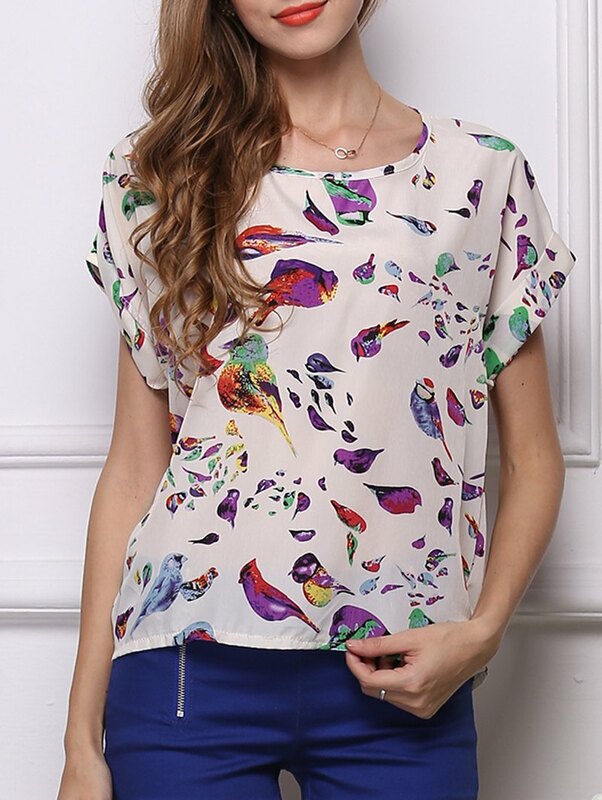 Firstly I chose a really pretty top with colourful birds on. I was really drawn to this top and thought I would give it a try. I ordered all the clothing in several sizes bigger than I normally would, as I thought the size would probably be really small. The top is really pretty and did look like it did on the website. The only problem for me is the material has no stretch in it what so ever and even though I ordered an XL it really doesn’t fit over my chest area!! I do have this problem though with tops that don’t stretch, there is never any room for the puppies to fit in! It is definitely a shame as I do really like this top. It only costs £4.23 as well, which is a very reasonable price it’s just a shame that it doesn’t fit. 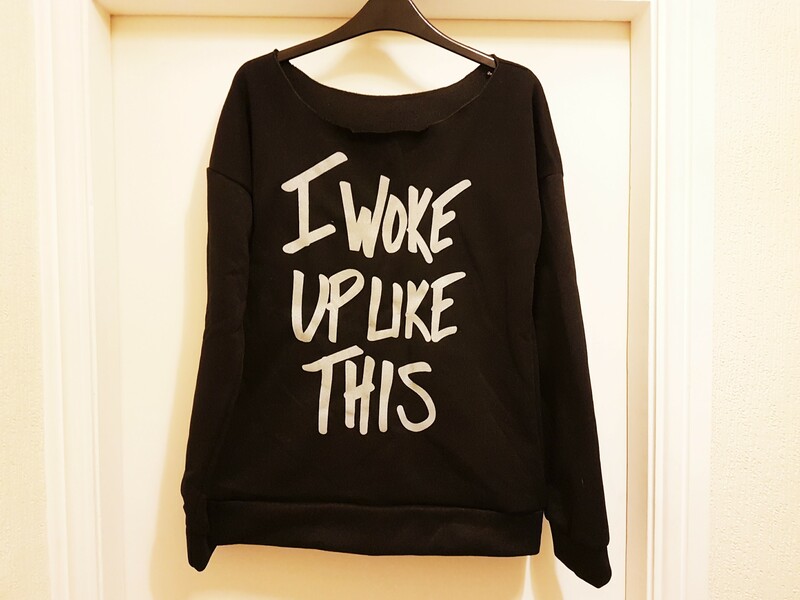 The second piece of clothing I went for was this ‘baggy’ jumper that says “I woke up like this”. I thought this would be a good jumper for around the house with its scoop collar and the fact that it was meant to be baggy. I ordered this several sizes bigger and went for the XL! This really is not an extra large at all, it is also tighter at the bottom for some reason. The material is very very strange as well, I don’t even know how to explain it but it is definitely really cheap material. On the plus side it is nice and kind of furry on the inside which would be good for winter if the sizing had been correct! This will be fine for round the house though and I do like the style. This was priced at £5.83, you really do get what you pay for! 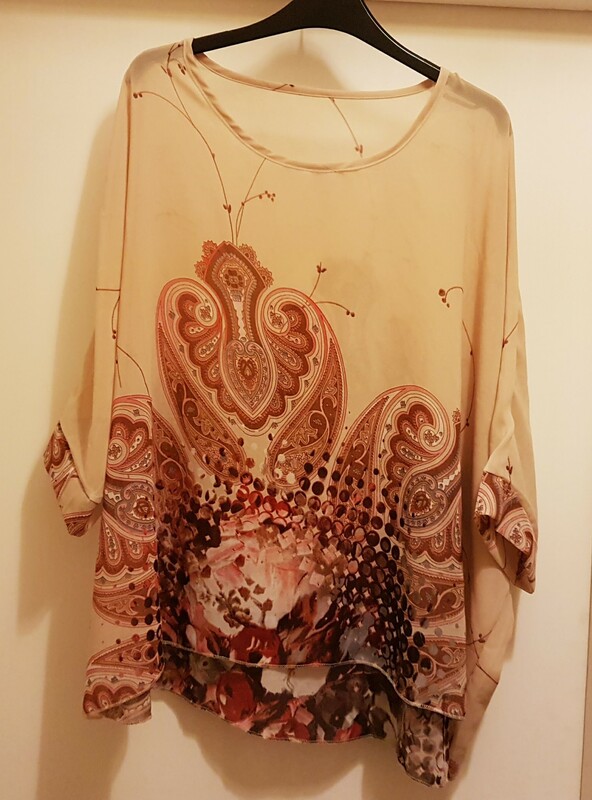 The last piece of clothing I went for was this bohemian batwing top which I thought would be good for my holiday to just throw over my bikini. I am actually fairly happy with this item as this one fits! 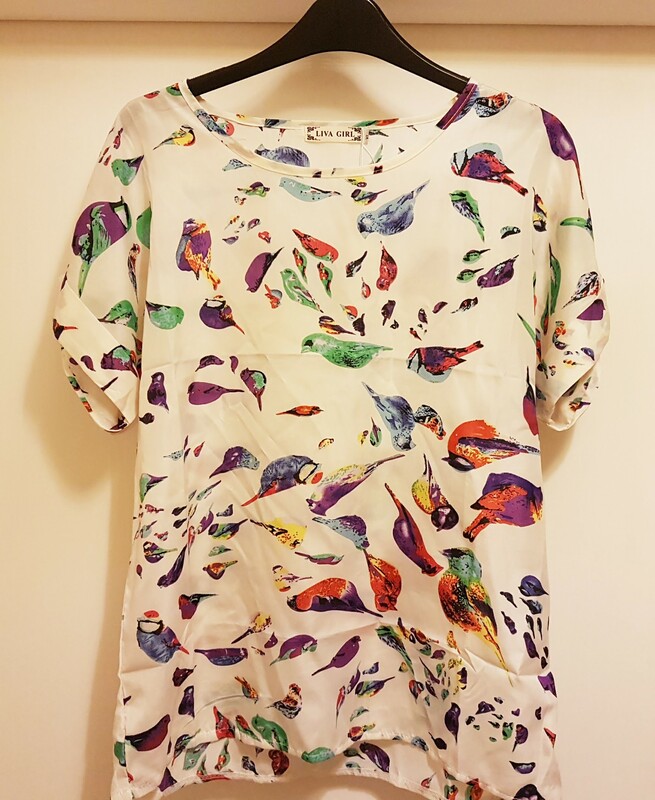 In fact this is probably a bit on the large size but that doesn’t matter as I only want it for the beach. As you can see it doesn’t look identical to the image from their website, the neck doesn’t have the red detail and the end of the sleeves are a different colour. This doesn’t bother me though and I will get use out of this item thankfully. This top is £7.54 which isn’t too bad. Now we move on to my very very random choices! What can I say, I like things that light up! The mushroom night light on the left is meant to softly change colours, unfortunately I haven’t been able to try this out yet as it is for American plugs, but I just need an adaptor so it fits a UK plug and it will be good to go! Yes it may not be the most attractive thing right now, but in the dark when you will only be able to see the lights, I am hoping it will be quite pretty. The other one is an emoticon night light, this takes batteries so that is great. It softly changes colour and lights up nicely. It’s great that you don’t have to plug this in so you can put it where ever you want. The mushroom light is £4.17 and the emoticon light is £5.63. My favourite item though I have saved until last. 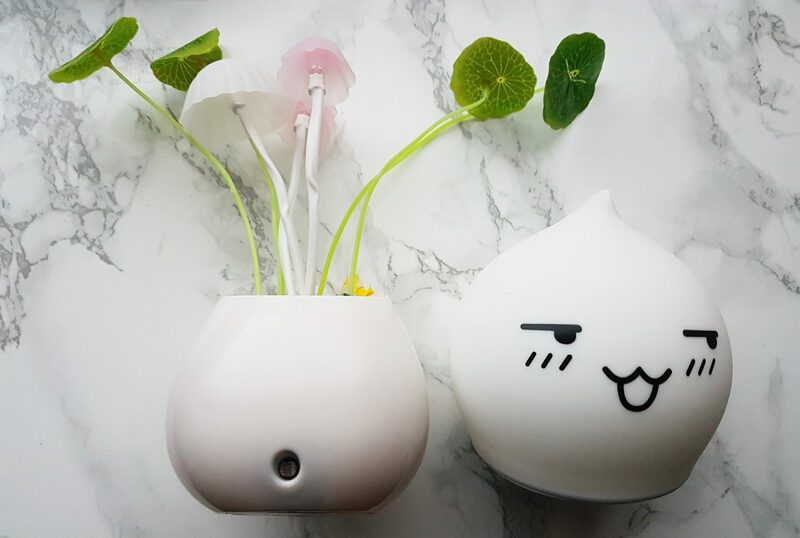 I have seen these money boxes before and I have always wanted one! I was happy to see it available on the SAMMY dress website. This is an adorable cat money box. 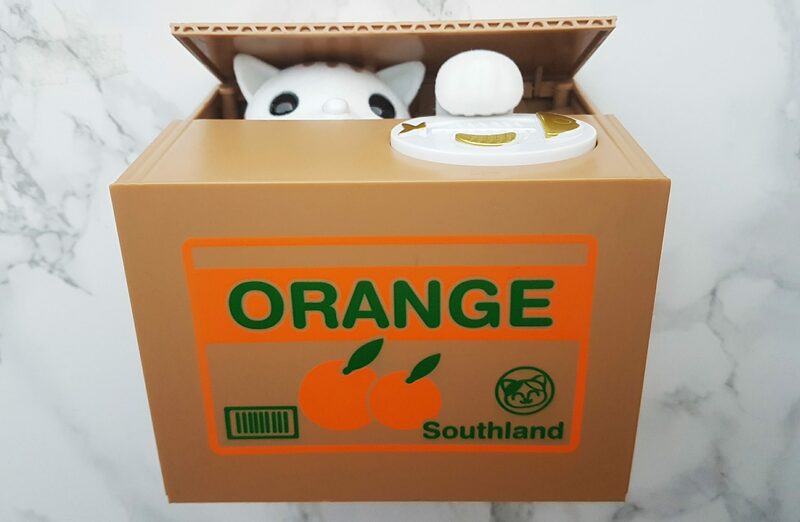 You place your coin on the button at the top and then this super cute cat pops out, and a paw reaches out to take your money inside the box. How cute is that, I just had to have it! It makes a noise as well when you press the button, I think it says something but I really can’t make it out as it is probably in a different language. Not too sure how much I will use this, but I got it for the cute factor! I am really glad that I got to try SAMMY dress. They have so much on their site you are probably guaranteed to find something you want on there. The clothes for me are a bit hit and miss though, but I would give it another go and choose more wisely next time. They do have some really nice looking items, I will just check sizes properly and go for ones that look like the have more give in them! I just wouldn’t know what sizes to get as I think they are very small sizes and the quality isn’t the best. I would purchase household items though, I would just double check next time to see if things need to be plugged in. They also sell jewellery items which I would definitely give a go. Bags are also sold on the site, which I would probably get, they have some really quirky ones on there! They also sell shoes as well which I think would be better than their clothes. Their prices are quite reasonable and you could definitely get yourself a bargain, you just have to have a good look through their site and double check the item descriptions. Have you ever ordered from SAMMY dress? If so what did you think? Yeh I hate it when clothes don’t fit, these were really small sizes apart from the batwing one which is quite big! Oh the cat money box is gorgeous! I’ll have to add a video of it! I can see why you got that cat box, it’s really cute! It’s a shame the clothes weren’t better but great that you got some other items you were really happy with! 🙂 Sizing can be so tricky to get right when ordering online from new places I find!